The GSM alarm system can detect human movement on door, window etc , detect door open, detect Fire or smoke installed location. The system can inform the remote Showroom manager, supervisor , security guard by SMS, user can also set alarm for various condition i.e. when in at Home or remote location. All these setting can be done from remote location. 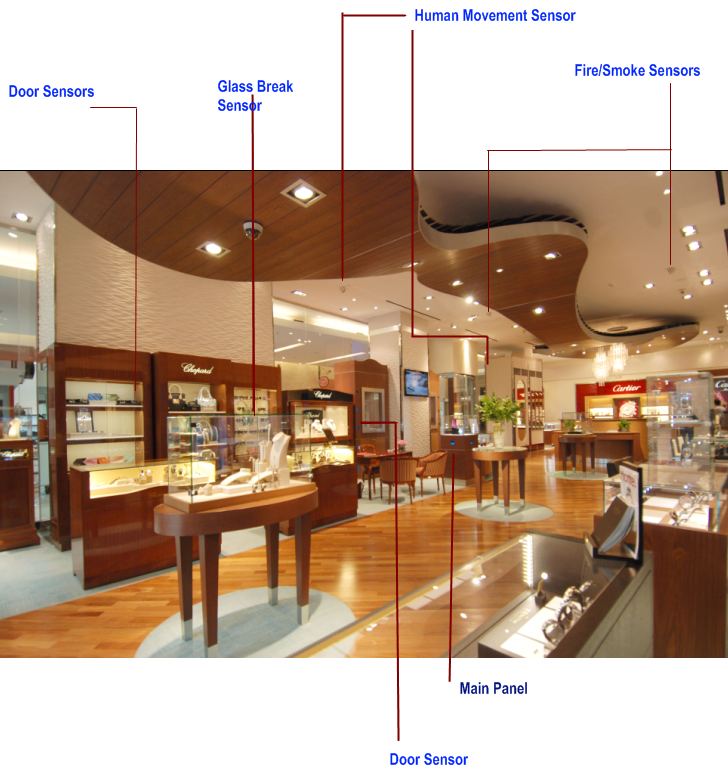 Grid of fire sensor can be install within the showroom, store room etc. 1. GSM 900/1800/1900 bands, can be used all over the world. 2. 3 zones for wired detectors and 16 zones for wireless detectors. 3. Set arm, disarm, emergency alarm by remote controller. 4. Set arm, disarm, monitor, output by calling the host. 5. Set arm, disarm, monitor, output by sending SMS. 6. 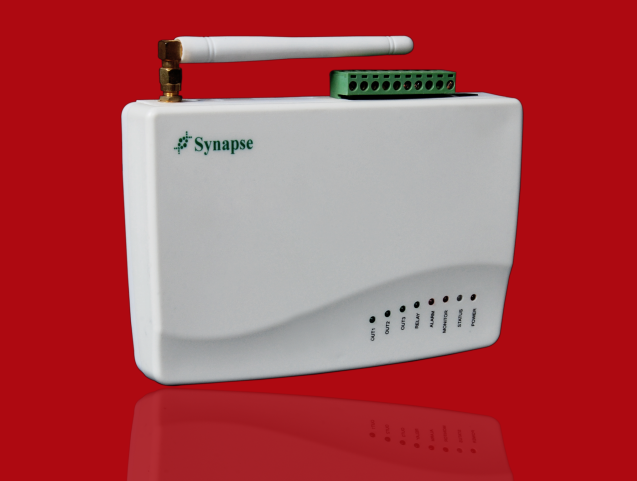 Monitor environment on the spot 24x7 through sensor network. 7. Voice and message alert. 8. 5-group phone + room number; 1 group alarm monitor center phone. 9. 2-group phone to report alarm and non-alarm status. 10. Can program 7-group alarm messages. 11. Easy to set ON or OFF for every wired or wireless detector. 12. 1 relay output to trigger camera when alarm. 13. 2 output for home appliances connection (lamp, cooker, air condition). 15. Built-in battery ensures normal work even power failure. 16. This system provides preventive measure to user. Additional accessories can be connect to main panel and it will charge on nominal rates. Wireless showroom security systems are battery backed up powered security systems designed to alert showroom security to certain kinds of danger, like a burglar breaking into a showroom at night or a fire starting in an office or store building. Typically, wireless alarm systems communicate triggering conditions to main panel using wireless signals, such as line carrier, infrared, or radio waves, which are transmitted on a special frequency. A wireless security system can protect users from more than just an unauthorized intruder. You can choose to also have your showroom or business or Bank equipped with smoke and shutter open detectors, motion sensors, safe or treasury open sensor, Glass break and power failure detectors. When a wireless alarm system is set up, wireless sensors are typically put throughout a commercial building. Doors, Shutter open, motion sensor and other are commonly equipped with these sensors. A main panel, which houses a circuit box with mobile sim card and a built in standby power source installed. When a sensor is engaged, it signals the main panel. Depending on how it is set up, the main panel then usually emits signal to Siren, Mobile SMS alert to various mobile number can also call to predefined numbers. Copyright © 2010-2013 Synapse System. All Rights Reserved.